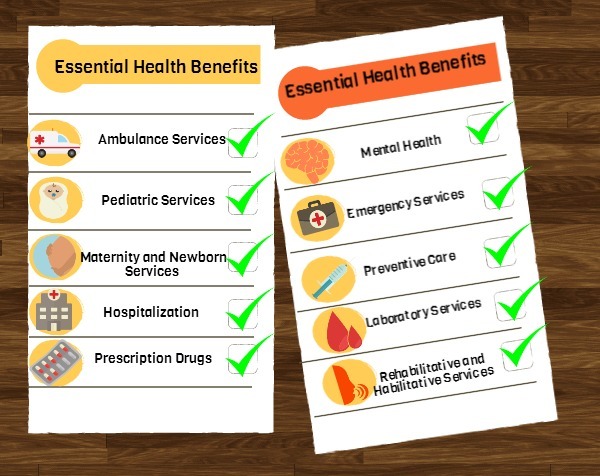 There’s a lot of talk about essential benefits covered by the Patient Protection and Affordable Care Act, more commonly known to us as ObamaCare. We’ve found the essential benefits that must be covered by every Bronze, Silver, Gold, and Platinum Healthcare Exchange Plan. What makes each Metal Plan Different? It is the percentage you pay per plan 10-40% of out-of-pocket costs (coinsurance, deductible, copayment). Also, each individual state and provider may have different guidelines for extending or offering additional benefits per plan. Click here to compare Bronze, Silver, Gold and Platinum health plans side-by-side.For information about essential benefits offered in your state please call 800-930-7956. No. Grandfathered plans and plans for large businesses do not have to include the essential benefits. Grandfathered plans are plans that a member was originally enrolled in prior to March 23, 2010. UPDATE 11/27/13: For an easy way to fill out your ObamaCare application go to Healthapplication.com. Remember to fill it out and send it in as soon as possible to ensure the earliest enrollment date. For any further questions about essential benefits or specific plans for your state please contact Medicoverage. Hi…I have a platinum tier health plan with Healthfirst in New York State which I got under Obamacare last year. I just found out I will be going to Florida for three months from Jan-March 2016. If I continue with this new york plan, am I insured for any medical treatments in florida? Is an Emergency Room visit covered? What if I need to be admitted to a hospital in Florida? Is there a way for a new snowbird to be covered, such as signing up for Florida healthcare insurance for three months and then in April going to back to New York state insurance or is this not possible? Thanks in advance…this is soooo complicated. Thank you for your question. We are not appointed with the company you are currently enrolled in, so we wouldn’t know if they offer nationwide or regional coverage for hospitalization or doctor’s office visits. However, all plans must offer emergency coverage as in network, no matter where you are. If your plan does not offer nationwide or regional coverage, please contact us at 800-930-7956, and we may be able to find other plans available in New York that allow you to have a nationwide network or work out another scenario for you.